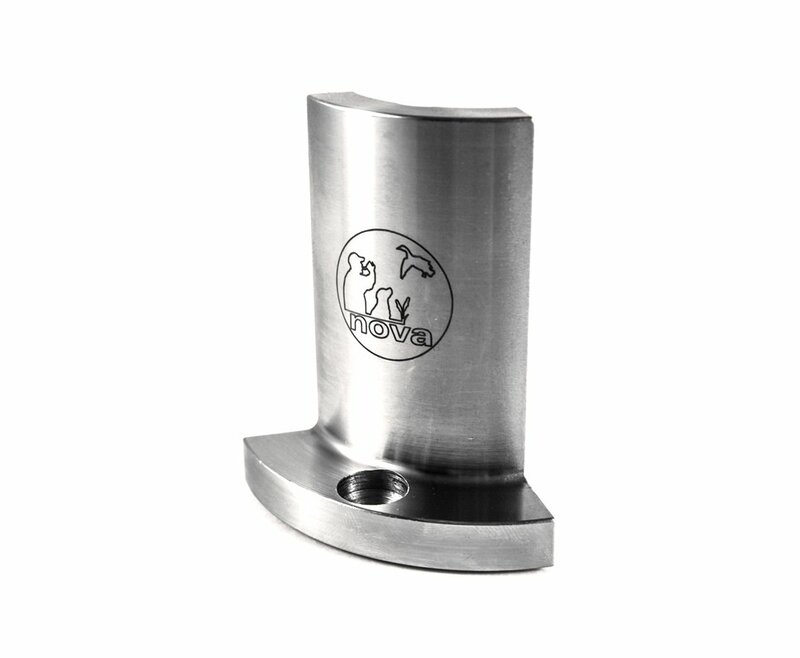 NOVA Duck Call Jaws easily convert your NOVA chuck into a fast and accurate larger spindle blank drilling facility. The big jaw profile provides a vibration free, solid grip for a variety of sizes and long shapes. Being able to finely control the drill feed on the lathe is a big advantage to prevent break out on delicate game call walls. This unique specialty set is great for making game calls and other cylindrical shapes such as pepper mills, reworking chair legs, etc. 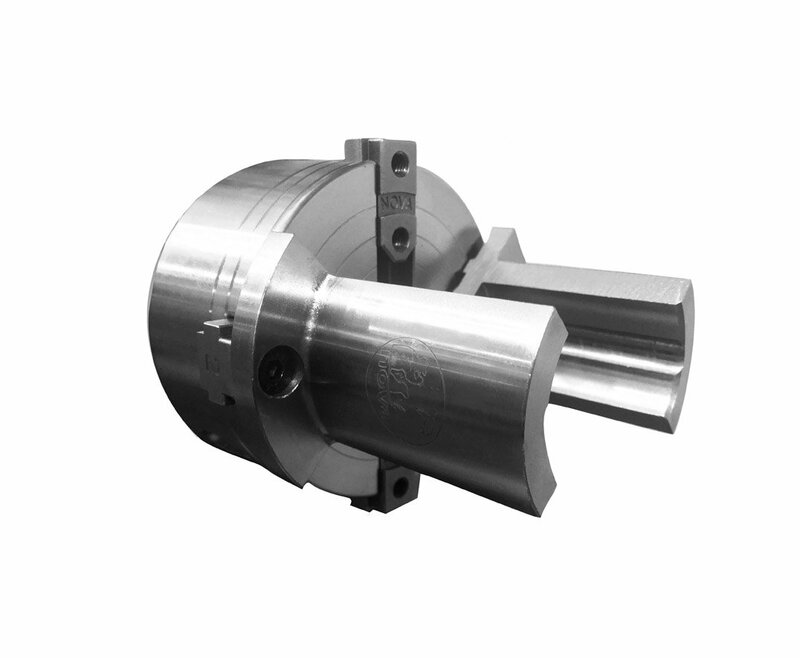 These heavy duty jaws secured by two screws for each jaw segment have an internal profile to handle larger rounds with ease and minimal vibration. ▪ Fits all NOVA chucks. ▪ Solid, extended grip design – the most popular 1 ½” round blanks are held firmly without vibration – drill and turn your projects accurately and cleanly. ▪ Convenient. Do all your Game call and other making operations on the lathe – no need for a drill press. ▪ Able to finely control drill feed for those delicate projects to prevent breakout. ▪ Hold long round stock 2 3/8” firmly and accurately for wider project use beyond just Duck calls, such as pepper mills. 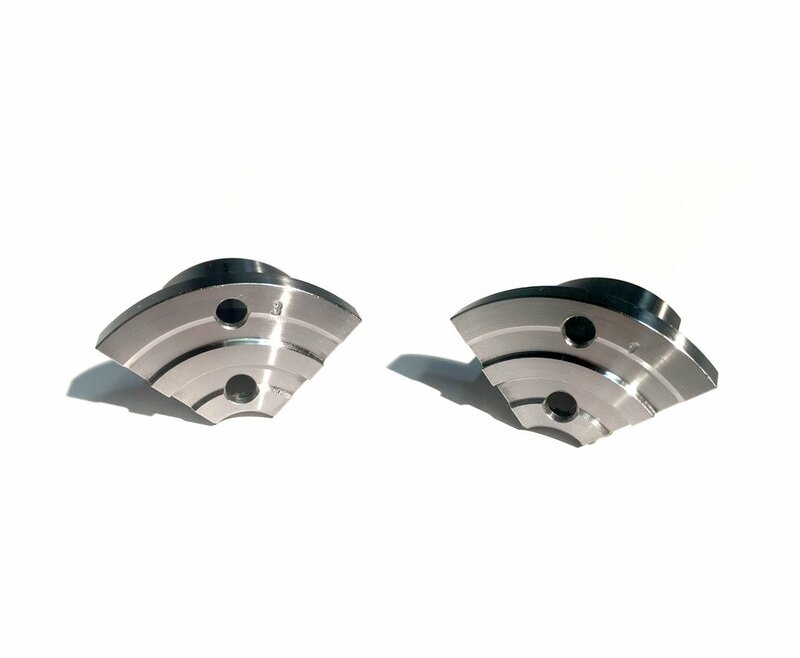 ▪ Machined from Solid 1045 Machine Steel in one dedicated set, for maximum reliability and performance.